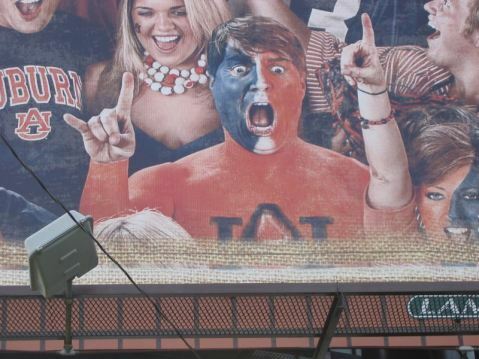 Remember that billboard on S. College with the guy that looked just like new Florida Gator head coach* Will Muschamp? They put it up right before Muschamp bolted Auburn for Texas. FOX10 News sources have told us Auburn will likely name Will Muschamp its new head coach sometime Friday. Muschamp was Auburn’s defensive coordinator two years ago. WVUE in New Orleans first reported Muschamp would likely be the Tigers new coach. We’re so glad that didn’t happen. But of course will forever be proud that the legend of ‘Boom!’ was born in orange and blue, our orange and blue (good Lord, look at that score). Logic approves of TWER’s tweet.